We are accepting meat from October through mid-February. 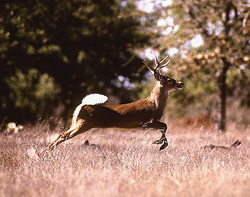 Our hours during the general whitetail hunting season are 7 am to 7 pm, 7 days a week. Our hours during October and February are 8 am to 5 pm, 7 days a week (most of the time). We have limited freezer space, so we ask that you make arrangements to have your product picked up within 2 weeks after you have been notified that it is ready for pickup. "What you bring is what you get!" If you bring a deer that is shot through the shoulder and/or ham, you may not have much left to process. Please remember this when placing your order and/or picking up your processed venison. We look forward to working with you to provide a quality product.